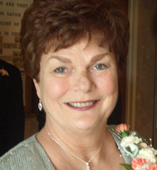 Visitation for Eleanor E. Langton, (nee Liske) age 78, resident of Huntley, formerly of Hoffman Estates, will be held Friday, April 5, 2019 from 4:00 to 8:00 p.m. at the Ahlgrim Family Funeral Home, Palatine. A Funeral Mass will be said Saturday, April 6, 2019, 10:00 a.m. at St. Mary Catholic Church, 10 N. Buffalo Grove Road, Buffalo Grove, Illinois 60089. The Interment will be private at St. Michael the Archangel Cemetery in Palatine, Illinois. Eleanor passed away on Tuesday March 26, 2019. She was born on April 14, 1940 in Chicago, Illinois to Crosby J. and Eleanor (Dechmann) Liske. Fond sister of Mary Anne (late Jack) Woodcock, Beatrice (Dan) Finn, Thomas (Carol) Liske and Rita Steiner. Loving mother of Michael Langton (Kristi), Chris Hickey (Barry), John Langton (Jill), and Mark Langton (Sheri Gaffney). Loving grandmother to Beckie Langton, Katie Weber (Bryan), Hilary Clapp (Brian), Michael Hickey, Ryan Langton, Shannon Hickey, Kellyn Langton, Savannah Scholl, Abigail Scholl and Danielle Hickey. Beloved great-grandmother to Bailey Weber, Brinley Weber and Ryder Clapp. Eleanor attended college at St. Theresa in Winona Minnesota and St. Mary of the Woods in Indiana. She graduated with a bachelor’s degree in business. She worked for many years for the non-profit organization Rainbows for All Children. She was currently working at Penn Construction Services. Eleanor was an enthusiastic choir member at St. Mary’s parish in Buffalo Grove. She truly enjoyed investigating her Irish and German heritage and felt a strong connection to it. In lieu of flowers, memorials appreciated to Rainbows for All Children, 614 Dempster Street, Suite C, Evanston, IL 60202 or www.rainbows.org. Ahlgrim Family Funeral Services reserves the right to approve/remove any comment submitted to our website.